In response to increasing electrical waste, design graduate Kasey Hou has developed a flat-pack toaster that can be easily repaired if it breaks down. 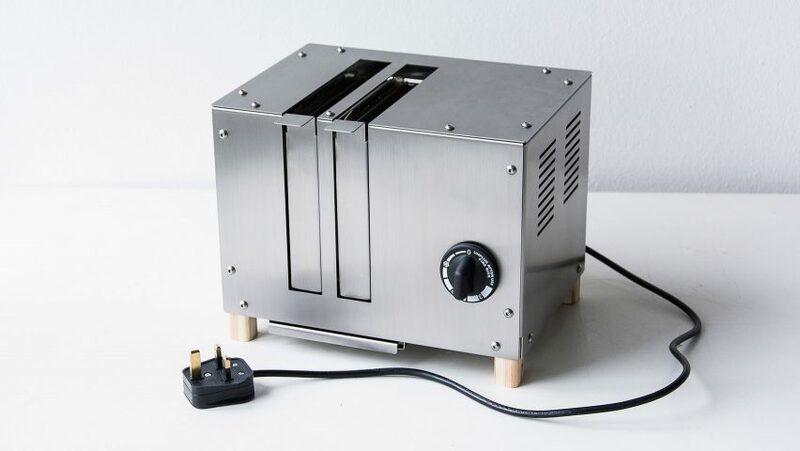 The Repairable Flatpack Toaster is Hou's graduate project from the University of Edinburgh. Through her work, she wanted to explore how the lifespan of electrical products could be increased. "The context of the project is e-waste," she told Dezeen. "The amount of e-waste increases every year and only a small percentage of it is recycled and reused, and the issue will likely get worse since more and more electrical and electronics products will be purchased and disposed." "One of the solutions is to increase the lifespan of products either through emotional design or repair. I want to challenge the fact that most products are not designed to be repairable, therefore they can only be thrown away when they stop working." Having set her sights on a repairable toaster, Hou decided the best way to teach people how to repair it was for them to have to build it themselves in the first place. "If the user can assemble the toaster from scratch, then they will feel more comfortable and confident to repair it because they are familiar with the structure of the toaster and how it works," she said. Arriving in a box along with all its components, the stainless-steel toaster comes with an easy-to-follow instruction manual for assembly. Should there be any problems with it, the user can repair the toaster by replacing any one of its components. The self-assembly nature of the product means that it can also be easily cleaned, and when it does eventually need to be thrown away, it can also be taken apart for recycling. Hou says that there is a plan to bring the toaster to market, but she is currently working on creating a version that is safer and more convenient to repair. The concept behind the toaster mirrors that of the Small Transparent Speaker, which has built-in sensors that detect when parts need to be replaced, repaired or updated, and notifies users via their smartphones. It is also similar to the ethically produced Fairphone, which is designed to be easily taken apart and repaired to increase its lifespan as an alternative to fast-moving smartphone trends.